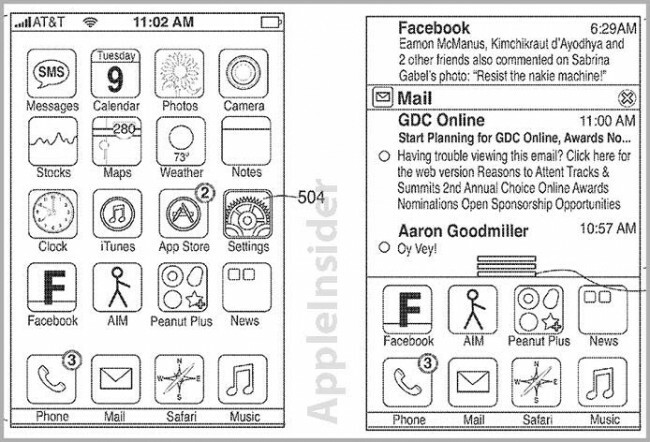 Back in 2009, Google filed a patent for Android’s “notification bar,” a feature that Apple wouldn’t figure out how to implement into iOS for another couple of years. Here we are almost four years after that patent was filed and Apple has decided that its “notification center” is worthy of its own. Android’s “notification bar” allows users to manage incoming messages, Tweets, calendar appointments, alarms, and emails, to name a select few. It’s evolved over time, but back in 2009, it was accessed just as it is today, with a simple swipe down from the top of the phone. Users are also notified of new notifications through this bar as they come in. Apple’s “notification center” acts much the same. As notifications arrive, the top of the phone notifies the person, which can then tap on those notifications or swipe down from the top of the phone to access the entire “center.” Apple has tried to beef up their “center” by including widgets in it, something Android has no need for as the operating system allows widgets in a variety of other places. There is no telling if Apple will attempt to use this patent in future lawsuits, but I can’t imagine it doing much good, especially after having filed for it years after Google attempted to patent a similar technology. On a positive note, this is one of the few times we have seen Apple show up late to the party on the patent front.